This interdisciplinary conference will be of interest to the following audiences: administrators/managers, advocacy organizations, behavioural therapists, community health workers, counsellors, diabetes educators, dietitians, early childhood educators, educators and teachers, families, family development workers, family physicians, family resource program staff, fitness professionals, health professionals, nurses, nutritionists, paediatricians, parents, policy makers, pyschologists, researchers, school administrators, social workers, students. For more information on this conference, please visit their website. Obesity Canada is pleased to offer 4 (four) travel awards to students (undergraduate, masters and PhD students) who have an obesity-related abstract accepted for presentation at the conference. Deadline to apply is September 7, 2018. 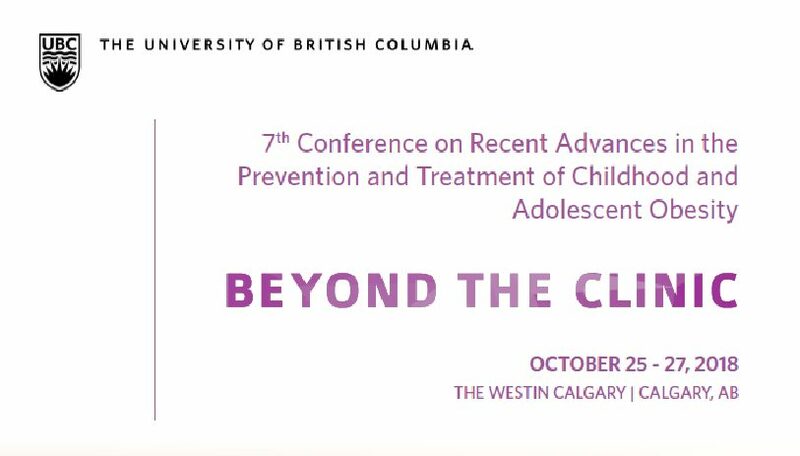 The purpose of the Student Travel Award is to help students travel to the 7th Annual Childhood and Adolescent Obesity Conference, in Calgary, Alberta, October 25-27, 2018. This program does not support travel expenses for lab exchange travel. Approximately (4) students will receive up to $500.00 Canadian dollars each to support their travel to this conference. To be eligible, applicants must have an obesity-related abstract accepted for presentation at the conference. Further information about this award will be provided to all applicants in the notification of application receipt. Applicants must be enrolled full-time at an accredited university or college located in Canada and have an obesity-related abstract accepted for presentation at the conference. Applicants must have an obesity-related abstract accepted for presentation at the conference. A jury composed of representatives from Obesity Canada will examine all applications for eligibility. 1-page maximum typed cover letter describing your interest in obesity and how attending the meeting will benefit your work. 2-page maximum Curriculum Vitae including scientific publications and presentations (the Curriculum Vitae may contain only highlights and may not be a complete version). 1-page maximum reference letter from your supervisor. Award recipients will be announced Friday September 21, 2018. Travel Expenses will be reimbursed upon completion the conference.